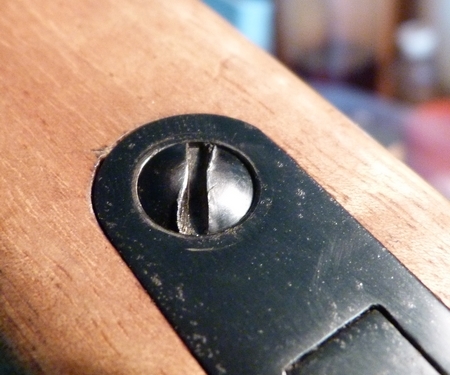 GS CUSTOM BULLETS - Repair a damaged screw slot. 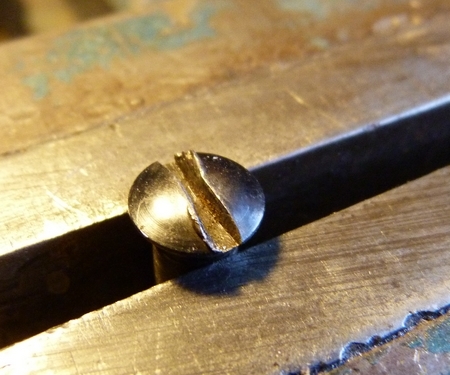 Screw slots often become mangled because the wrong screwdriver size is used to loosen or tighten the screw. 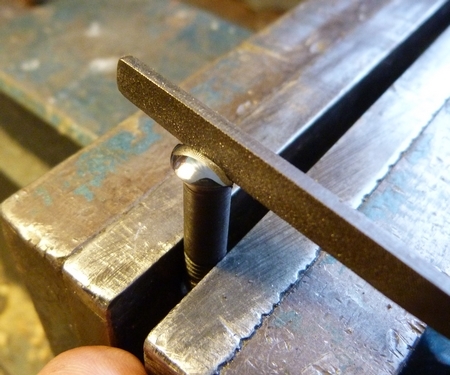 This causes the screwdriver to bear unevenly in the slot or slip, damaging the slot. It is then apparent that an amateur, who does not have the right tools, worked on the rifle. 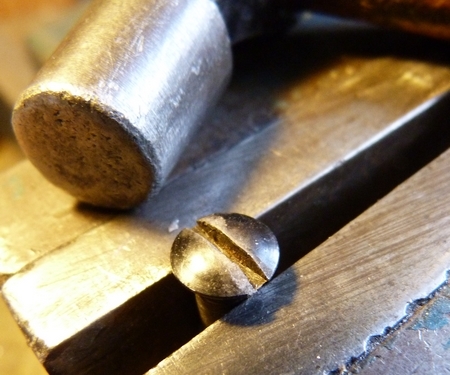 To repair this damage, remove the screw and clamp it in a smooth jawed bench vice as shown. With a small hammer, peen the displaced material back into place as best as is possible. 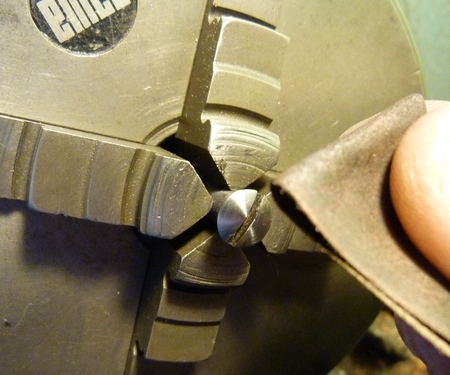 polish the screw head with a smooth file and emery tape. With a needle file, touch up the screw slot so that the sides of the slot are straight across the screw head and vertically faced. 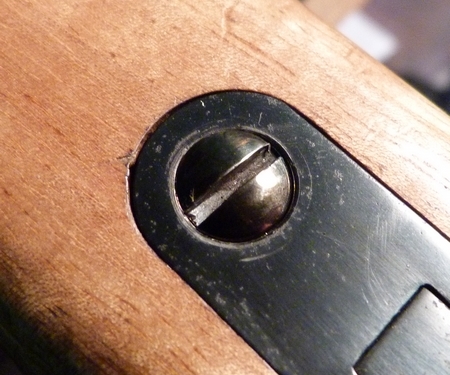 Blue the screw with a touch up blue or by heating and refit to the rifle.